You might have heard that President Donald Trump is sending migrant detainees to so-called sanctuary cities. Or maybe he’s not? Figuring out the proposal’s status was hard enough when the president first contradicted his administration’s initial claims that it had already been rejected. In the days since, things have become even more muddled, to the point that the proposal has become a paradox, being both the president’s policy and not his policy at the same time. But apparently the president didn’t tell his staff that things were so definite. 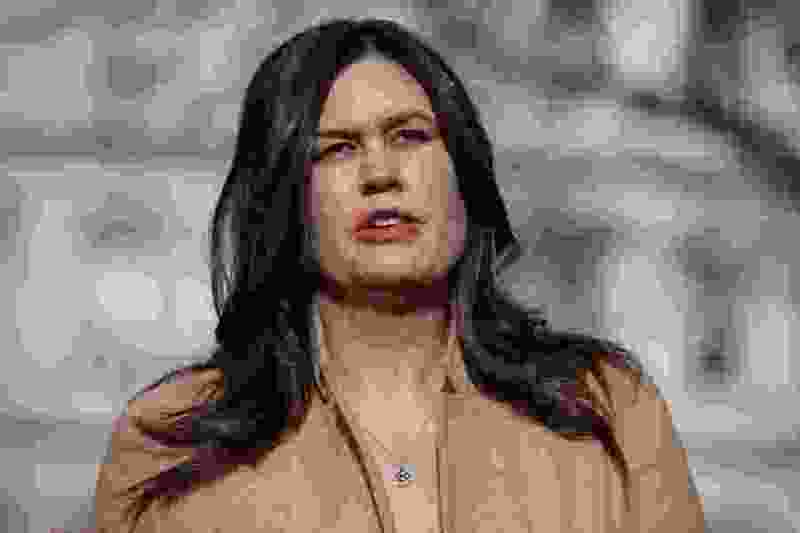 “Look, this is an option on the table,” White House press secretary Sarah Sanders said on ABC’s “This Week.” But “that’s not our first choice, probably not even our second or third choice,” she added. After all, “that was brought up at a staff level, and it was determined at that time that, logistically, there were a lot of challenges and it probably didn’t make sense to move forward, and the idea did not go further.” It was a similar story from Sanders over on “Fox News Sunday,” where she said, “Nobody thinks this is the ideal solution.” For counselor to the president Kellyanne Conway, appearing on NBC’s “Meet the Press,” the plan wasn’t so much dead as nonexistent, with Conway barely mentioning the proposal until prompted by host Chuck Todd. Or perhaps the gulf exists because Trump’s flacks and lackeys realize it doesn’t really matter what they say. After all, this president has promised his base a border wall for years; as long as he says, “We’re building it,” his supporters will believe him and blame anyone other than him for the inconvenient fact that there’s no countrylong border wall. Similarly, the immense legal and logistical barriers to the sanctuary cities idea seem to matter little, as long as Trump says he’s doing it. What a way to run a country.